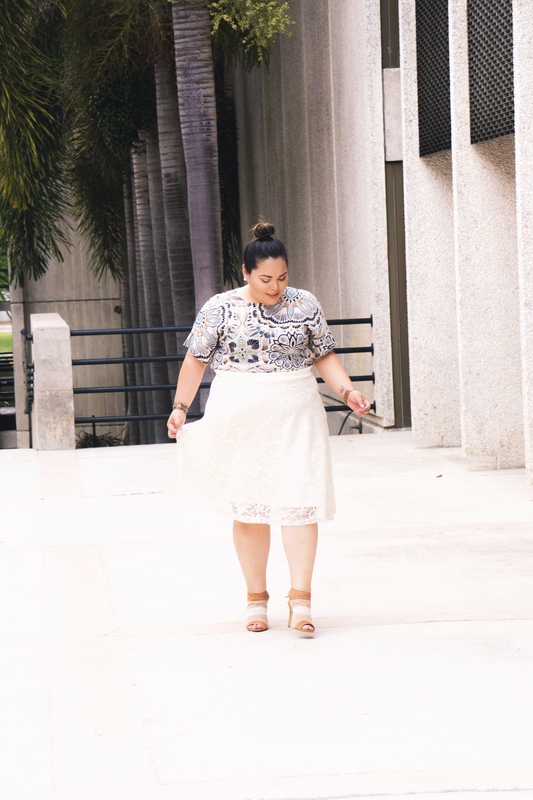 In my latest style posts, skirts have played a role in each — a maxi with sneakers, upgrading the look of a suede skirt with DIY patches, and today in a classic lace midi. Like denim, the beauty of styling skirts is how adaptable they are in any look. 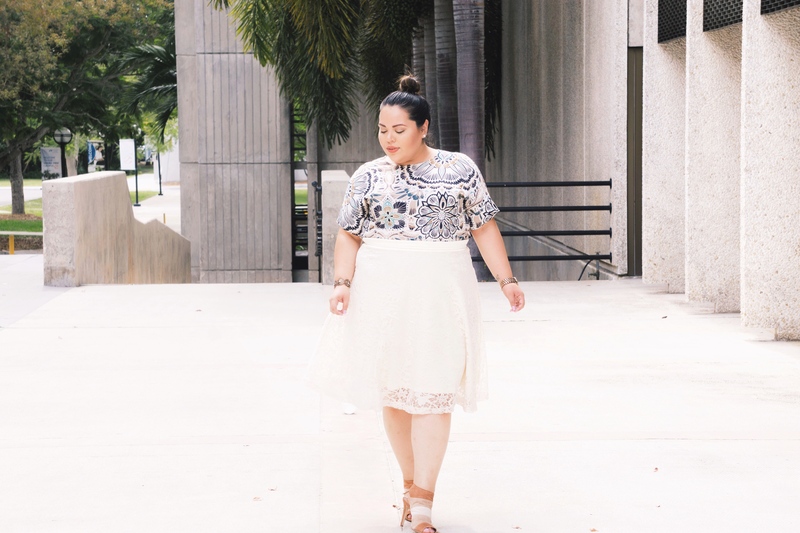 With two daytime events to attend, I wanted a clean well-balanced outfit that included print, color, and texture. A busy printed blouse like this one meant pairing with simple bottoms, but not too simple for the special occasions ahead of me. Nothing says classic texture-play like lace, especially on a gorgeous sunny day. 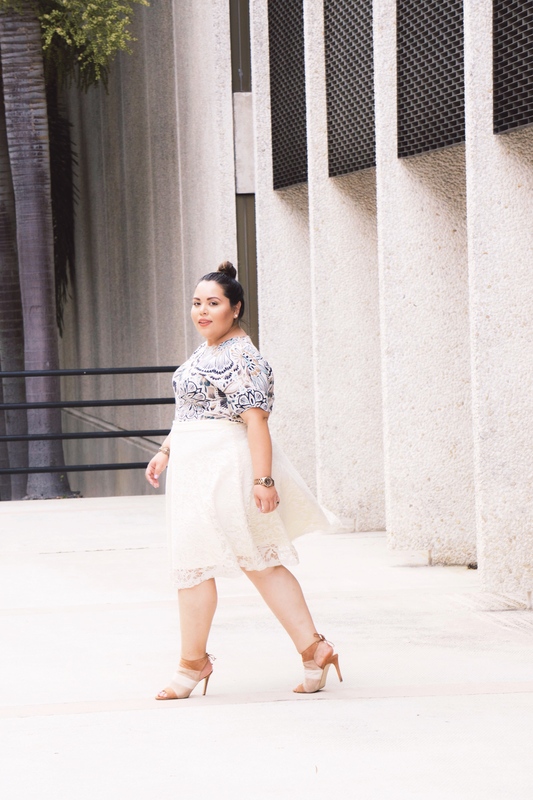 In off-white, this lace midi skirt takes the win for very Spring appropriate. Comfort is always key so I threw on my color-block heels for some added height and contrast. What makes a perfect skirt? Slip-on style! No button mission (or worst, button-popping). None of that “can you zip me up, please?” hassle. 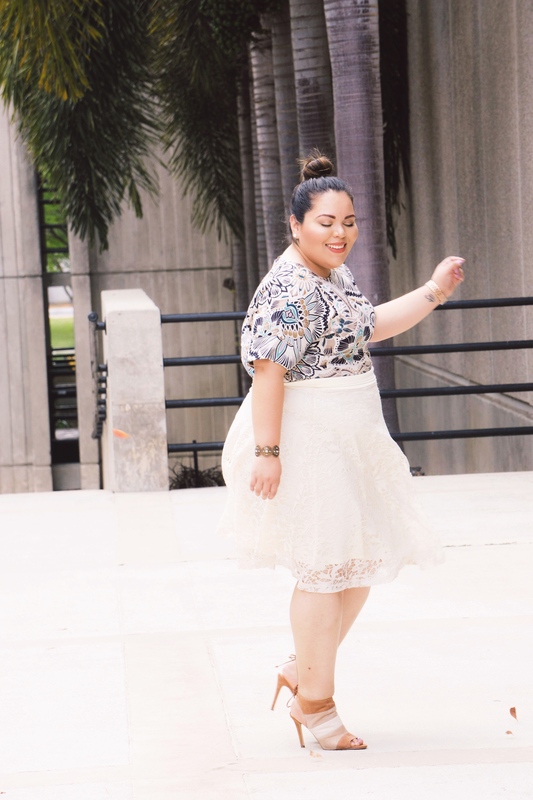 Kiyonna keeps it simple, particularly for us curvy girls who need extra hip/thigh room. I’ve linked a few Kiyonna faves here, here, and here to check out. 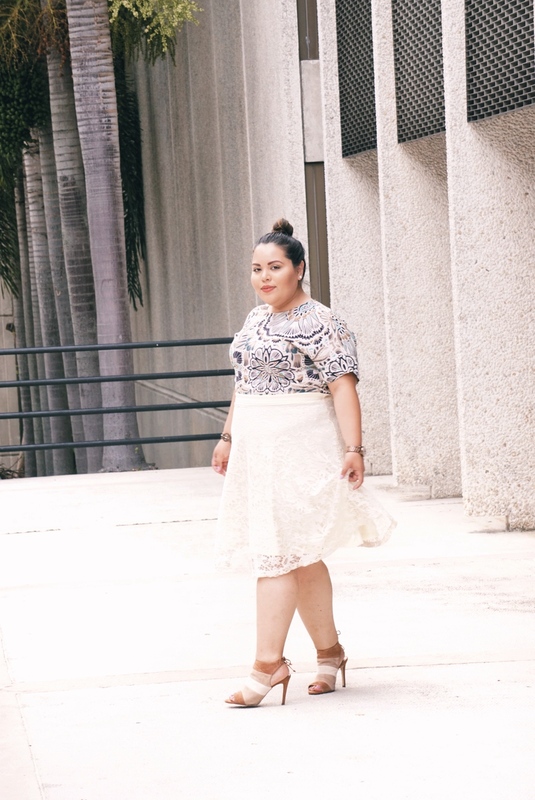 How do you style your skirt?